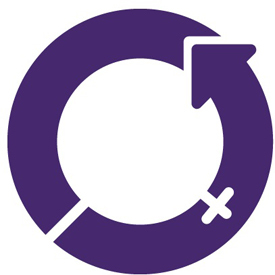 Today is International Women’s Day, and once again the Radio Rambler playlist has been updated with three hours of contemporary music by women composers. At the risk of making a massive over-generalisation, there are probably fewer women working within the usual channels of contemporary composition (writing music for others to perform, in concert halls and opera houses) than are taking their music making into their own hands, either working in the electroacoustic studio, where no third party performers are required, or acting as performers of their own music. If this is true – and it’s only a personal hunch, I don’t have hard data – there are several possible reasons for this, most of them economic/structural and none of them having to do with biology. The list below features several performer/composers (Jessica Rylan, Maja Ratkje, Agata Zubel) as well as several electroacoustic composers (Maggi Payne, Andrea Polli, Hildegard Westerkamp). I’ve made a conscious decision to balance these with works written in a more ‘conventional’ concert hall format (Joanna Bailie, Iris ter Schiphorst, Isabel Mundry, Olga Neuwirth), but there is plenty of fluidity between those divisions, as you’ll hear. I’ve been making these playlists for five years now, and they aren’t getting any easier to put together. I try to avoid repeating composers between years too much, which makes things trickier (and I don’t succeed anyway), but even so it’s clear that despite the conversations that have been going on about this for forever, women are still underrepresented within contemporary music, underrepresented in the music that then gets recorded (even though I’ve included two of their recordings here, Kairos’s catalogue is as good an indication as any), and then underrepresented on the labels that are big enough to have Spotify distribution. While that all remains true, I believe there is still a case for spotlight-shining actions like this playlist, and I will continue to put them out there. Hopefully one year I won’t have to. How about YouTube rather than, or perhaps as well as, Spotify? A tad more international it seems: couldn’t listen to any of the examples you provided.